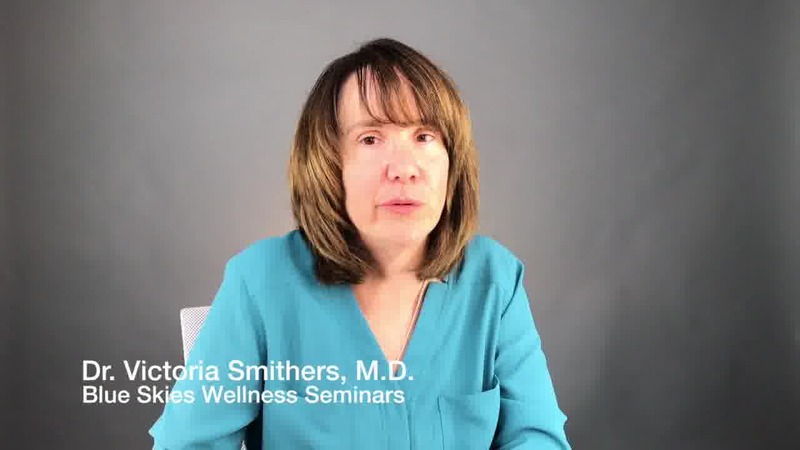 Dr. Victoria Smithers is a sought after family physician near Dallas, TX. She is in private practice and gives wellness seminars and speaks on living stress free. Contact her to come and teach your group how to find health and happiness through stress free living. As a family physician I continually talk to patients about healthy living. I have always known that finding happiness and balance in our life would bring better health. There are so many factors in our society today that are throwing this balance off and pushing us into burnout and stress. If not kept in check, stress can rob us of our health and happiness. We have lost the ability to just be in the moment. We are always multitasking- on the computer, texting, while listening to music and distracted. There is no peace, just chaos. Stress is our bodies’ response to a demand or threat. It is our “fight or flight” response. In years past it allowed us to escape predators and run away from attackers. It is modulated by adrenaline and cortisol, our stress hormones. Stress can lead to physical symptoms like headaches, indigestion or palpitations. If left unchecked the strain can lead to heart disease, ulcers, hypertension and mental health problems. Prolonged stress can lead to panic attacks, generalized anxiety, depression and insomnia. The National Institute of Mental Health reports 18% or 40 million of adults age 18 and older are affected with anxiety disorders. Information overload on internet and television. Intolerant attitude towards negative feelings. Panic disorder is a condition in which feelings of terror strike suddenly. One can experience attacks that include sweating, chest pain, palpitations, feeling of choking or shortness of breath with a feeling of impending doom. Social anxiety is overwhelming worry and self-consciousness about social situations. Phobias are fears of a specific object or situation like heights of driving. Post-traumatic stress disorder is a condition caused by a traumatic event where anxiety or fear is brought on by flash backs or triggers related to event- like loud noises. Generalized anxiety disorder is a condition that demonstrates unrealistic worry and tension. Trying to find happiness in our hectic lives is a real challenge. There is a growing field of research called Positive Psychology. They have done extensive research into what makes people happy. They have determined that 50 % is determined by genetics, 40% by behavior and 10% by circumstances. A recent study has shown that individuals that are optimistic and have a greater sense of purpose have a 20% reduction in major illnesses. Another study has shown that those individuals reporting increased happiness ratings live 10 years longer than those reporting low happiness ratings. More research has been done to see how we can increase our optimism and happiness ratings. There are some simple steps you can take to increase happiness and improve health. Researchers, Robert Emmons and Mike McCullough, at UC Davis have determined that keeping a gratitude journal improves optimism and feeling better about life. Another researcher, Martin Seligman, found that delivering a letter of gratitude to someone for their kindness caused a large increase in happiness scores. Practicing mindfulness allows the person to focus on the present moment through meditation and can reduce stress. Practicing random acts of kindness improves happiness ratings. A 75 year-long Harvard study on happiness showed that it wasn’t money or jobs but positive relationships that had largest impact on happiness. Just being surrounded by happy people makes you happier. The happiest people sleep eight hours a night. Other mood boosters include sunlight, Omega 3 Fatty Acids in fish and smiling. Follow Gods plan for your life. Practicing gratitude every day and limiting gossip and complaining help keep things positive. Laughter is a very powerful tool to lower stress. Routine relaxation such as prayer, meditation, technology breaks and time spent in nature all reduce stress. Practicing outreach through acts of kindness, volunteering in community and missions all provide us with purpose. Healthy living through healthy sleep practices, exercise like walking or yoga, eating a heart healthy diet, decreasing caffeine and avoiding drug use all improve health. Sonja Lyubominsky a happiness researcher at UC Riverside found that journaling on gratitude for 6 weeks increased individuals satisfaction with life and Robert Emmons at UC Davis stated that engaging in gratitude exercises like thank you letters elevates mood. So start your day with a list of what you are grateful for and show your appreciation throughout your week. Meditate on your list and watch it grow! It is important to put technology free space back in our lives. Learn to embrace the quiet. When you stop the steady flow of sensory input from your electronic devices you can see things much clearer. It reminds us to be grateful for all of our blessings. Venture outside to enjoy a tech free day. People lowered their cortisol (a stress hormone) and reported an improvement in their mood after just 30 minutes of gardening. So remember gardening as a great way to get healthy, reduce stress and grow healthy vegetables for family and friends. Connecting again with nature has been a real joy. I am so grateful for God’s amazing love and peace in his presence. Learning to stop long enough, turn off all the media devices, quiet all the noise in our heads and listen takes some practice. It is in the quiet and the stilling of our thoughts, surrounded by nature, that we can let go of stress and draw closer to Him. I am constantly giving out advice about healthy forms of exercise. I often recommend a walking program for patients who have not had an active lifestyle. Walking is a good aerobic workout and does not require expensive equipment. 10,000 steps a day is a great goal to set for yourself and has been shown to improve health. Another exercise I encourage people to try is yoga. Yoga is a 5000 plus year practice. It combines strengthening and stretching poses with special breathing and meditation. There are many different forms of yoga. It helps to take a beginner class to be taught the poses and breathing. The intensity can vary quite a bit depending on the style of yoga so you want to be sure it matches your fitness level. There are many other positive effects to yoga. It is felt that the majority of it’s benefits are achieved by the deep level of relaxation that you can attain by participating in a regular yoga practice. Yoga should be combined with a good aerobic workout for maximum benefit. You may have to try different forms to find the right one for you. But I encourage you try a Hatha yoga class, it is the most common form of yoga. The American diet is full of all the wrong things. Our lives are so busy and full of stress. I recently reviewed the literature to see which of the popular diets are most effective. Across the board in multiple studies and reviews Weight Watchers was ranked #1. Also in the top 5 were the DASH diet, the Mediterranean diet, TLC Diet and the Dean Ornish diet. It is important to remind people to see their doctors to evaluate for medical problems leading to weight gain; such as thyroid abnormalities and Type 2 Diabetes which requires medication and special diets. Once these problems are ruled out and you are given a clean bill of health you can start a healthy weight loss program. Remember all programs should include a diet program and regular exercise. For anyone who is suffering from more severe stress, anxiety or mental health problems it is important to seek counseling and mental health treatment if these stress reduction techniques do not improve your symptoms. Sometimes medication and behavioral therapy are necessary to reduce anxiety.